If you want your children to get into the warmth of the tropical seas of Phi Phi Island in a big way, get thrilled in a colorful underwater adventure or just go for a dip and see the world below the surface, let them try scuba diving on Phi Phi Island. For fun and kicks beyond cliff jumping, kayaking, snorkeling, the Phi Phi Islands offer some of the best scuba diving courses for children. The PADI, a world renowned diving certification system, has its network of diving schools spread all around Phi Phi island, and offers good dive courses for children. A good diving course gives your children an opportunity to enjoy the best of the Phi Phi island reefs with the safety that PADI affords. 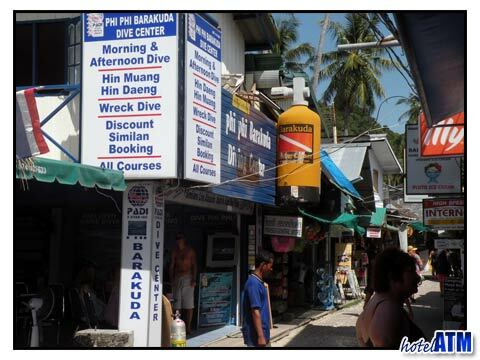 If as an adult you as the parent are a beginner, get yourself acquainted with Phi Phi Diving. Take a one hour ‘Discover Scuba Diving Course’ and do a dive from a boat and get introduced to the pleasures of scuba diving. Children just love to have fun in the water. PADI has a safe diving program for children under the supervision of experienced PADI certified instructors. The teaching structure does not push the child but allows him/her to learn at his/her own pace, thus making the child’s diving experience fun. 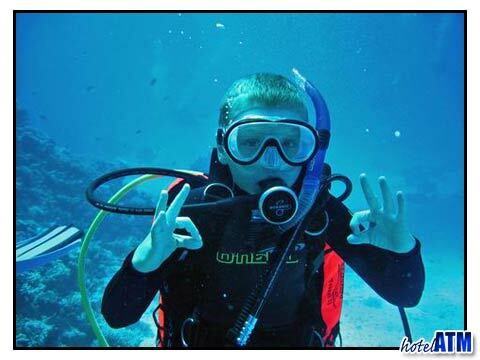 Good dive courses for children use special equipment designed just for children. The tank is still the heaviest item to be shouldered but the mask and fins are fitted to ensure maximum comfort. The ‘Bubblemaker” course for children over 8 years is a good dive courses for children. The children are trained to get the basic requirements of the PADI courses in confined water of maximum depth of 2 meters or 6 feet. Moskito Divers in the main village has a training pool and Harlequin Divers uses the pool at the Phi Phi Andaman Beach resort. The Phi Phi Holiday Inn Resort and Phi Phi island Village Resort and Spa use their pools for dive training. they are checked to see if the have adequate swimming skills and for this they must show they can swim 200 yards in mask fin and snorkel. they are asked to sign a medical form staing whether they have any medical conditions that be an issue diving. they are asked whether they have the desire to work through the open water manual. The Junior Open Water Diver can convert to an adult open water diver when the child reaches 15 years old. Children are trained to go to the bottom of the pool, float in balance in the water, play games, play with flashlights, take pictures underwater and learn about the environment. Good dive courses for children have a personal touch. Not all Dive schools are the same and so it is good to check around and see which school on Phi Phi Island works well with you. The courses log book will be personally sign by the instructor. They can show it to all their friends. Good dive courses for children get their enthusiasm. So if you want your child to do cool things, sign them up for a diving course that they'll remember for a lifetime.